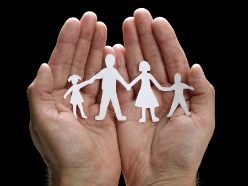 Family is an integral aspect of recovery when it comes to addiction. Each one of these people at one time of their lives, have had to combat addiction, and this makes it easier to proffer the needed help to other members of the family who are addicted. It is advised that when addiction occurs in a family, the remaining members of the family need to make certain conscious efforts to ensure that they help the individual to receive the necessary help. Know all what you need to about addiction: This is usually the first step in addiction treatment, it is important that you know more about the addiction which is plaguing you, and how you can combat it. There is also an important need for you to know the origin of the addiction. This would aid your family in knowing how best to offer you the needed treatment. Proper education about addiction also helps the family to avoid blaming the addicted individual. Link up with people who understand: For an addicted individual who has a loving family, he can be sure that they would assist him in connecting with other people who have a good understanding of the addiction recovery process. Attend family therapy sessions: Handling an addict is not an easy task. Hence, as the addicted person gets better during the course of addiction, the family also tries to adjust. A good number of time, the family members usually absorb the consequences of the addiction, all in a bid to ensure that the addicted member of their family gets better. Eat healthy meals: One important factor in addiction recovery, is having to eat nutritious meals, and this is one of the primary functions of the family. There is a need for the individual to eat nutritious meal and eat together with the family, it helps to strengthen the bond between the individual and other members of the family, owing to the fact that he must have been withdrawn from them for a good period of time. Conclusively, the addicted individual needs the family all through the addiction recovery process, and it is essential that they are available to help out. 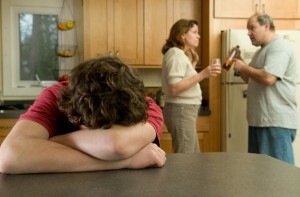 One or more family members over uses a substance or an activity to the point that it causes problems within the family. If any members of the immediate family are addicted to something that is obstructing the health of the family unit, then addiction is a family problem. This picture of addiction problems is typical of a family. 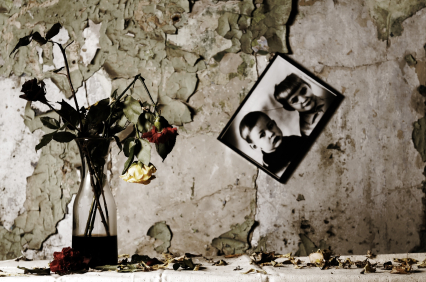 Your family has a history with addiction that lasted for a long period of time. Even if it was just one family member who struggled with addiction, if it is over an extended period of time, it is enough to leave a lasting impression on the family, particularly if the addiction was associated with traumatic events. The choices and behaviors of the original addict within the family affected the family dynamic in a way that influenced other family members toward unhealthy behavior. Typically, the lasting impression that an addicted family member leaves on the other family members is a transferred addiction problem or a mental health problem. 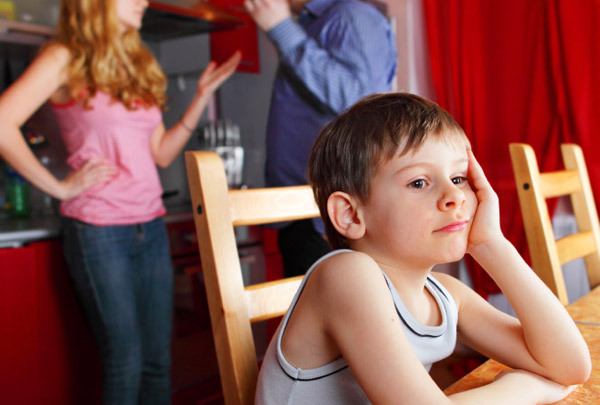 The family can fall into episodes of conflict and altercation together, having a negative impact on all family members. If the addiction problem within the family is associated with family disputes, emotions and altercations, then the addictive behavior within the family has indeed become problem for the whole family unit. Addiction has a profound effect on families. It has not been understood until recently that addiction problems can very commonly be traced back to the dysfunction within a family unit. This is important because it makes addiction a problem rooted within support systems rather than isolated to one member within the support system. Addiction is usually born within a family when one or both of the heads of the family bring it into the equation from their personal history. It was present in their history because the destructive cycle of addiction plays out in many families over many generations. When the addicted head of family introduces it into the new family they have started, things become dysfunctional quickly. Emotions run very high, dreams of unity are shattered and emotional connections between family members are broken. Through this route, addiction affects all of the members of a family like a toxin would. Sometimes it impacts family members by influencing them toward addiction, while other times it impacts them by creating other stress points within them, typically mental disorders. It has been found that children who are exposed to adverse situations are also more likely to have physical health problems, so an addict within the family affects the well-being of the children within the family immensely. It is not long before everyone in the family develops an unhealthy set of responses to the addiction problem. This cyclical behavior and system of patterns is based on interactions between the family members and by the inner life of each family member. This pattern becomes permanent and unbreakable without outside intervention. Addiction is incredibly difficult to treat in part because the root of the problem is not isolated to one person. Family units walk into addiction together, and ideally, every family should walk out of it together as well. Sadly, this is often not the case. Many times, the most addicted and troubled family member does not have the support of their family to quit. Instead, their family enables them and makes their struggle even more difficult. When addiction is a problem that is rooted within the family and is taking a toll on more than one family member, it requires a special kind of treatment to eradicate. It is not commonly known that most cases of addiction have ties to other close family members and the behavior and choices of those family members greatly impact the behavior and choices of the family members or member who are struggling with addiction. Understanding whether or not a case of addiction is a family problem comes through evaluation of the family’s operations. In most cases, a parent has struggled with an addiction or mental disorder of their own and has influenced their child’s behavior for the worse. Some people think that parents pass their addiction traits along to their children directly, but it is more complex than that. Some children follow their parent’s examples of addiction and incorporate them into their own lives, but it is also common for a parent to have a mental disorder that results in eventual addiction for their child, or for a parent to have an addiction problem that results in eventual mental disorder for their child. Mental health specialists and addiction treatment experts know how heavily a family unit is tied to the addiction problems of individual members. That is why they offer counseling for the entire family rather than only the addict. When a recovering addict is spending time in an addiction treatment center, they will frequently be offered sessions of counseling for their immediate family members on certain days. Similarly, there are professional counselors who specialize in family addiction counseling to address the problem as a family responsibility rather than one individual’s responsibility. Addiction can be deeply ingrained within a family and can be a laborious, painful thing to confront. Families do not need to deal with addiction alone. Everyone has the right to addiction specialists who sort out these complex problems professionally. If your family is being damaged by addiction, reach out for help today from an addiction specialist, such as that of an alcohol rehab British Columbia or a drug detox center Ontario. The more we learn about addiction, the more we realize how much the family dynamic plays a part in it. A majority of addiction cases reveal that the addict has one or more family members who are either addicted themselves or have been affected by addiction in their lives. This is a very important factor to consider in treating addiction and in understanding addiction. It means that the family’s health can only be sustained if the family confronts the addiction problem as a unit. The members or member of a family who are addicted are the ones initiating the dynamic of addiction onto the family. They are not to blame for their addiction problem because addiction is a legitimate disease, however, they are responsible for initiating a change to their lifestyle because no one but them can end the cycle of addiction. The addict’s spouse or life partner suffers immensely due to the addiction problem. The partner of a spouse lives within a marriage of broken dreams and fruitless expectations. Their reality is disappointment until their partner takes the initiative to change. Some partners of addicts spend their lives waiting for change and it never comes. This is the sad reality of addiction. A spouse may also be a fellow addict, in which case the marriage and the household will be wrought with dysfunction. The children of addicts are the ones who suffer the most. A partner at least has the option to leave, so long as they are mentally sound enough to recognize this option. Children, however, are dependent on their parents for provision and example, even if the parent is an addict. Parents who are addicts can be hurtful, abusive, neglectful and dangerous. Mental health experts have discovered that the children of addicts are likely to be withdrawn, dysfunctional and experience problems with addiction themselves. Other close family members are likely to go through anxiety, depression and anger over their loved one’s problem. Every family unit reacts differently. Some come together over the addict and fight for their recovery while others crumble and scatter, no being able to perceive recovery.